What would your ideal kitchen look like? Beautiful? Long-Lasting? Hassle-Free? Pick any three, and refinish without compromise with N-Hance! Do you often wish that you could have your dream kitchen, but don’t have the money for a full remodel? It might be time to change cabinet colors. 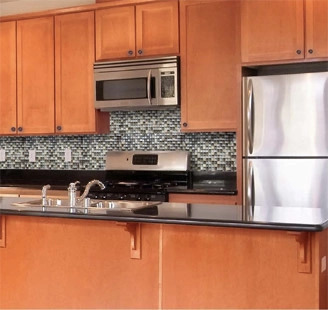 If you opt not to replace your cabinets, and instead simply change cabinet colors, you will be able to enjoy your dream kitchen at a fraction of the price. 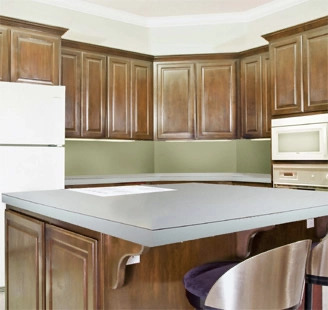 With the help of N-Hance’s professional cabinet refinishers in Succasunna, you can give your kitchen a brand new look without needing to pay for an expensive remodel or redesign. 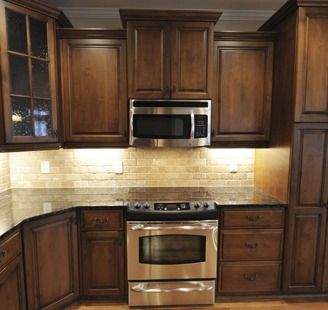 This process involves a much more dramatic effect compared to other cabinet services such as traditional refinishing, refacing or even replacement by typically going from a lighter wood to darker tone or even black. With limitless color options, get a complete cabinet color change from N-Hance of Northern New Jersey. 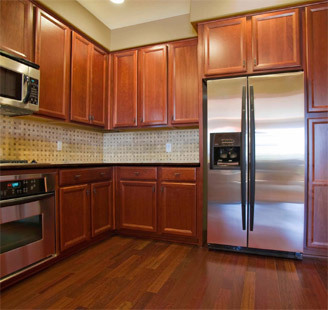 N-Hance of Northern New Jersey in Succasunna, NJ offers a complete cabinet Color Change. 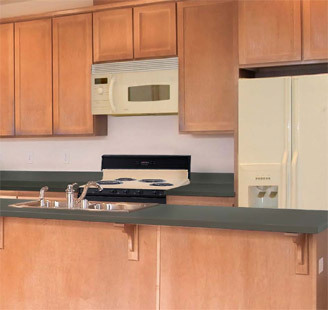 A cabinet color change also provides a variety of different finishing techniques, each with its own distinct look. From glazed, antiqued, shadowing, and vintage, we can easily match the existing furniture colors of your home or help you achieve something completely different. If you’re looking for a drastic change, you will love the results of this transformation. 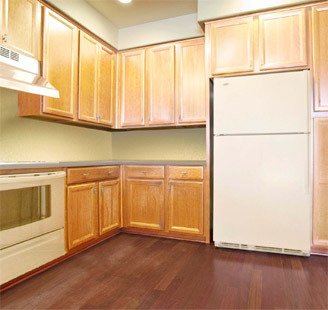 A cabinet color change is a great way to change the entire feel of a room in just a few days. 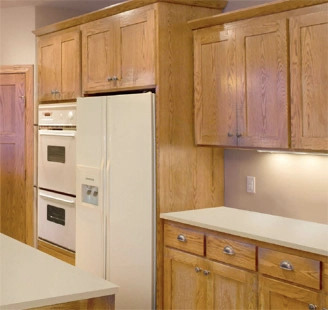 This process involves a much more dramatic effect than other services such as traditional refinishing, refacing, or restaining kitchen cabinets — or even replacement. 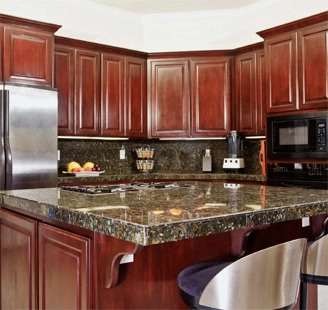 Often to change kitchen cabinet color in your house, it will involve going from a golden oak or whitewash finish to a cherry, walnut, or black tone. You will love the result of this transformation. It’s a great way to give your kitchen a new look and change the entire feel of a room — all by simply restaining kitchen cabinets. To change cabinet color, it typically takes 3-5 days to complete, making this a fast process as well as a smart one for your finances. Clean the Cabinets. 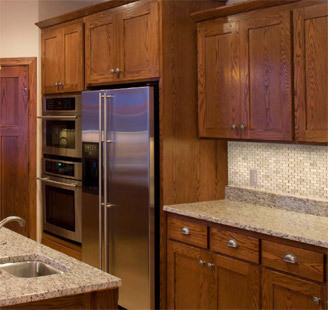 Before we do anything, we use a proprietary cleaning process to clean your cabinets and remove oils, grease, grime, waxes and other particles that may have accumulated, as well as loose layers of old finish. This gives us a fresh canvas to work with. Prep and Seal. At this point, we prepare sand seal the cabinet, neutralizing the wood’s pH levels. This step is important to make sure that the primer and color bond to the wood properly. Apply Primer. Our primer blocks tanning and stains on the wood from bleeding through and marring the surface after the process is complete. Apply Custom Color. We only provide the best. That’s why we use our own acrylic polyurethane blend, as opposed to basic latex paint. 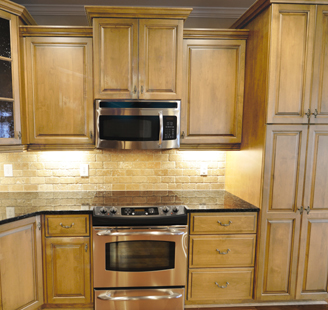 We apply several coats to your cabinet to make the finish durable against bumps, scratches, and other physical wear. This process is similar to the process used in factories when manufacturing new cabinets. Apply Lightspeed®. N-Hance uses a proprietary top coat that is cured using ultraviolet light. This finish dries quickly, meaning you don’t have to wait to use your cabinets again! Lightspeed® also contains an antimicrobial property that decreases bacteria growth by 99%, keeping your home and family healthy. Schedule an estimate today with N-Hance of Northern New Jersey! Until now, refinishing Cabinets meant having a crew in your home for 3-4 days, lots of dust and odor, followed by another 3-4 days of “dry” and “cure” time before you can get back to real life. Lightspeed from N-Hance changes all that.